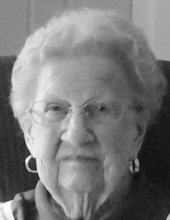 Belfast - Sally Whitehead, 95, died on March 30, 2019. She was born July 28, 1923 in Portland, Maine. a daughter of Dorothy & Philip Smardon. Sally grew up in Belfast and graduated from Crosby High School in 1941. After graduating from Colby College, she worked for the War Effort in Washington, DC. Sally married Robert Whitehead, her high school sweetheart, on September 29, 1944. Sally worked for the Belfast School System from 1960 to 1973. From 1973 to 1985 she worked for Morse High School in Bath, Maine. Upon her retirement, she and Robert moved to Florida. Sally was predeceased by her husband Robert on April 8, 2010. Sally is survived by a daughter, Susan Page and her partner Paul of Marlborough, Mass. Two sons, Vaughn and his wife Sharon of Valrico, Fl, and Robert and his wife Barbara of China, Me., six grandchildren and 13 great grandchildren. Donations may be made in Sally’s honor to the Waldo County General Hospital Health and Hospice, 125 Northport Avenue, Suite 106, Belfast, Maine 04915. To send flowers or a remembrance gift to the family of Sally S. Whitehead, please visit our Tribute Store. "Email Address" would like to share the life celebration of Sally S. Whitehead. Click on the "link" to go to share a favorite memory or leave a condolence message for the family.